For over 3 decades The G3i Group has immersed itself in the global deathcare and family services sector. This has paved the way for us to build a portfolio of business that have truly changed and shaped the way in which the deathcare industry is moving. Founded From humble beginnings in 1988 initially as a local funeral directing business by Ash Govind, the company has since grown and evolved to create several innovative client focused enterprises that serves the needs of both funeral sector businesses and bereaved families. At the heart of group’s ethos is to bring innovation and ingenuity to what is still considered by many to be a traditional industry, and to better serve the changing environment of consumers and the deathcare industry of today. Our sector specific interest extends to Funeral Homes, Cemeteries and Crematoria, Mortuaries, and Forensic Science. We are keen to speak with individuals and companies that have innovative products or services that fall in-line with the synergies of our sector. Our interest could extend to Product and service development, Total or partial acquisition, Joint Venture, Licensing, or even R&D. aFuneralNotice.com provides a new way to share details about a forthcoming funeral services. Our system allows you to create a professional, personalised mobile Funeral Notice, then at the push of a button you can send it by SMS, giving family and friends all the precise information. 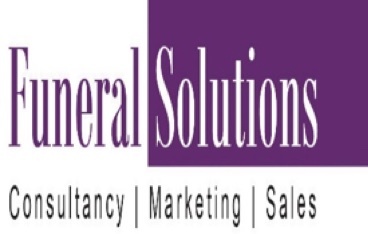 Funeral Solutions is an industry specific consultancy practice assisting funeral sector business develop and grow through the implementation of our innovative change management systems and target driven strategies. 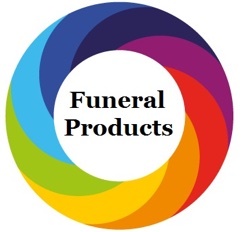 Funeral Products is a specialist funeral sector market place selling a range of conventional and innovative funeral products and services directly to the trade and general public. These include Mortuary Equipment, Coffins & Coffin Fittings, Urns & Keep Sakes to mention a few. Virtual Autopsy is a new innovative medical technology where non-invasive autopsies are performed on a Virtual Body to establish a cause of death using 3D Visualisation Technology and data acquired from a whole-body CT Scan. Asian Funerals (UK) is a nationwide specialist funeral and repatriation service caring for the needs of the Asian community, giving due consideration to individual religious and cultural needs. UK Funeral Planning Services is a pioneering pre-paid funeral planning company that can facilitate the financial costs of the whole funeral process giving consideration to your wishes before, during, and after the event.